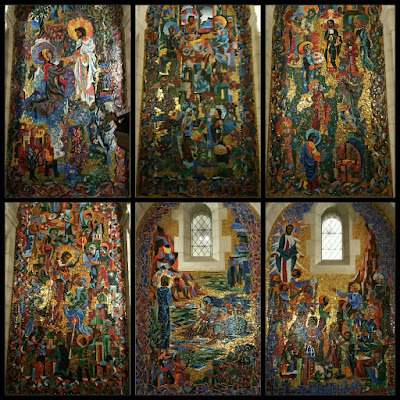 The Resurrection Chapel in the lower level of the National Cathedral in Washington D.C. contains six wall mosics by Rowan and Irene LeCompte. 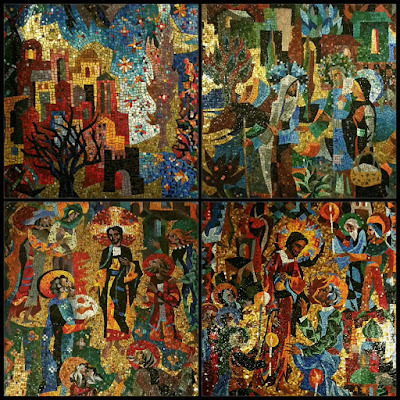 The panels portray scenes after Christ's resurrection starting with his appearance to Mary Magdelyn. Each took a year and a half to create. 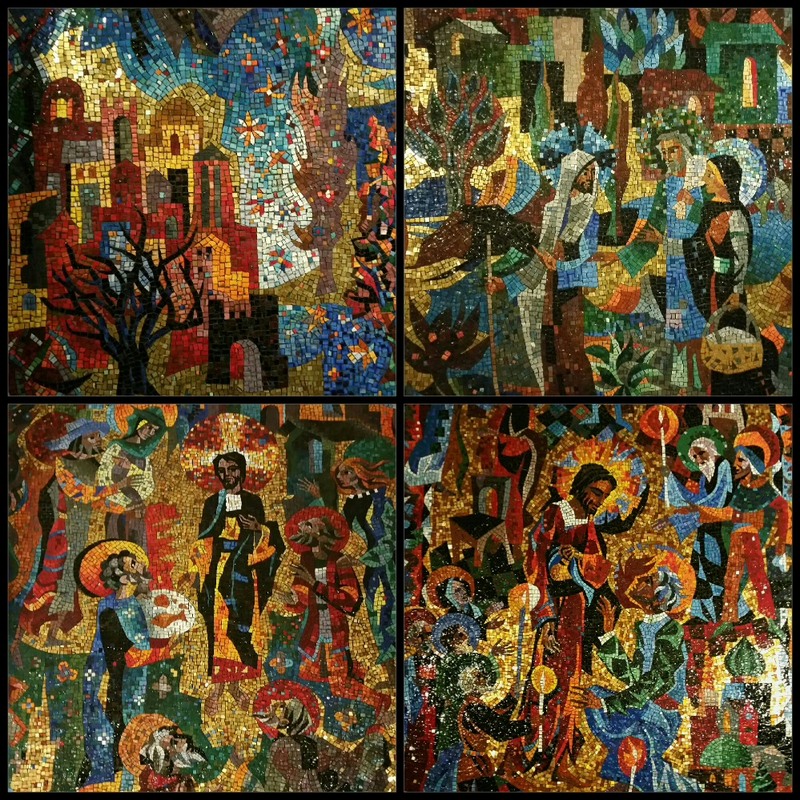 The final panel was completed after Irene's death was done in tribute to her. 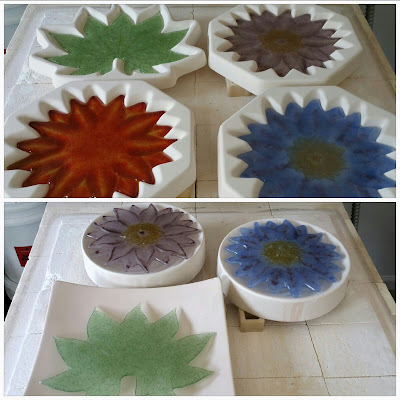 These were the first mosics produced by the LeComptes who had previously focused on stained glass windows for the cathedral. The small space is illuminated by the rich colors and gold reflections. I was in awe of the effect they have in this small space with thier warmth and richness of color. Good things are often found just below the obvious beauty. If one stopped after seeing the vast space and rose windows in the main cathedral you would miss these.